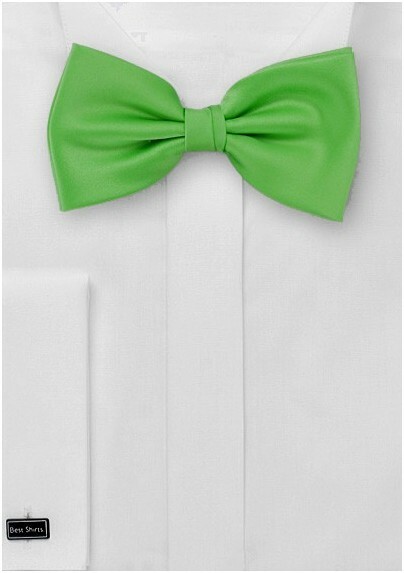 Throw some color to your formal wear with this bright kelly hued bow tie. It is a perfect piece for formal summer ensembles. It looks equally stunning with classic suit a well as formal tux. Also made as the matching standard necktie, kids sized tie, XL length necktie, as well as pocket square (see below). Ships in Puccini's elegant gift box. Handmade from care-free microfiber. 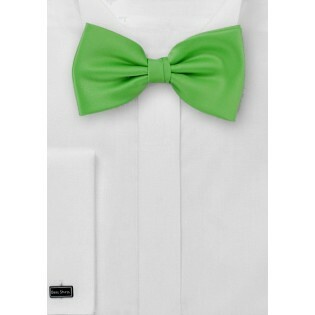 Style: Pre-Tied Bow Tie, Length: Adjustable 12" to 19"